Great care needs to be taken in finding, assessing, negotiating and completing acquisitions. We guide our clients through each of these steps, using our skills from being experienced "door openers", initiating confidential dialogue with vendors, to negotiating and closing transactions. Where our clients are considering international acquisitions, Corbett Keeling works closely with our partners at Globalscope, who provide our clients with local presence and knowledge as well as identifying acquistion opportunities. We have built strong relationships with all the key equity, debt and other funders and, therefore, are ideally placed to arrange acquisition finance on behalf of our clients. The owner of a family business plans full or partial retirement. Corbett Keeling has developed a tried and tested process to guide the MBO team from initial discussions with the current owner of the business through to completion. Vital to the success of any buy-out is obtaining the very best access to funding. Corbett Keeling, therefore, devotes considerable resource to building and maintaining relationships with equity and debt providers and has an exceptional track record in matching management teams with suitable backers. The Corbett Keeling Positioning and Readiness Optimisation Review ("PRO Review") positions your business for 20-50% higher value than it would otherwise achieve. Private companies are generally valued at a significantly lower multiple of profits than their counterpart larger quoted companies. Corbett Keeling determined to redress this using our 25 years of experience selling private companies to develop the PRO Review. The PRO Review enables us to position our clients' businesses to ensure that buyers fully understand the opportunities for revenue growth, and are therefore prepared to offer 20-50% more than they might normally be prepared to pay for a business of this size in the sector. We implement a PRO Review when we start working with a new client in order to ensure we maximise value. In certain circumstances we are also able to offer this analysis of how to build value as a stand-alone service. Please contact us if you would like further information. Click here to download a more detailed description of the PRO Review. If your acquisition target company falls under the regulations of the City Code on Takeovers and Mergers ("the Code") - broadly that is if your target is a public limited company or has issued a prospectus in the preceding ten years - we will guide you through all the steps to ensure full compliance with the Code, communicating on your behalf with the Panel and steering you through the process of making an agreed or contested takeover bid. The Code is designed principally to ensure fair treatment of all shareholders in relation to takeovers, but also applies in certain situations where a takeover is not intended or does not happen. For example, if a shareholder or group or shareholders increases its stake in a company to more than 30%, it may need a 'whitewash' under the Code in order to avoid being compelled to bid for the company. Corbett Keeling advises its clients and prepares the documentation required by the Panel in these situations. Corbett Keeling's Chairman and Chief Executive, Jim Keeling, served as Alternate on the Takeover Panel for two years. Companies may have multiple forms of capital, including different classes of ordinary shares, preference shares, options, warrants, mezzanine funding and senior debt. In some cases, management teams or other stakeholders may have special rights through ratchet and similar mechanisms. There will be times when the interests of the holders of each capital class are not aligned and stakeholders need advice to help them protect or improve their position. In these cases, Corbett Keeling represents the members of one class or one shareholder in order to achieve the best possible result for them. Corbett Keeling has advised SONEAS and its shareholders on its sale to UQUIFA, the Vivimed Group's API business. Soneas broadens Uquifa's offering in the CDMO sector with new development capabilities and an enhance project pipeline. About Soneas Soneas, established in 1996, with a team strength of 144 people, is a Budapest headquartered firm with business verticals focused on research, development, and custom manufacturing, targeted at the innovator pharma and fine chemical sectors. About Uquifa Uquifa has three FDA inspected manufacturing sites across Spain and Mexico and caters to the generic and ethical API segments of the global pharma market. It has had a trusted franchise across regulated markets for 80 years. Saurabh Gurnurkar, Executive Director of Uquifa, said: "Uquifa believes the acquisition of Soneas will allow it to expand faster into the CDMO sector (40% of Uquifa sales) where it already has an important presence in the geographies of USA, Europe and Japan. To build on the cost-effective development capabilities with aggressive timelines and, to deliver effective results for the combined customer base, will be a key objective for Uquifa." Corbett Keeling has advised Futuresource and its founders on joining a private equity backed family of high growth businesses. About Futuresource Futuresource is a specialist research and knowledge-based consulting company specialising in market forecasts and intelligence reports. Futuresource provides essential data and strategic insight to a range of clients with an interest in the dynamic electronics and media industries including the largest well-known global brands. The founders of Futuresource had built a successful business over 20+ years and were looking to reduce their financial commitment and find a good home for the business as they stepped back. Our role and added value Corbett Keeling was engaged to find and execute the best solution for Futuresource and the founders. We worked closely with Futuresource’s senior management over a number of months to identify and assess their strategic options, develop targeted business plans and structure the deal to capture value. Our approach achieved an optimal valuation for the exiting founders and a great home for the business. Corbett Keeling advised the owners of a UK care business on the acquisition of another business in their sector. Corbett Keeling advised the management team of Speciality European Pharma Limited (“SEP” ) on the acquisition of the speciality pharmaceutical and medical devices group from its venture capital shareholders with the backing of Juno Pharmaceuticals Inc. (“Juno”), an international specialty pharmaceutical company and leading life science investor. Headquartered in the UK, SEP is a speciality pharmaceutical and medical devices group that focuses on meeting the needs of the specialist physician. The Company was founded in 2006 and has grown rapidly over the past five years, with a commercial presence in much of Europe and a desire to grow beyond. The transaction provides the Company with the opportunity not only to continue its growth strategy with the existing products but also to invest for the long-term in the untapped potential in its proprietary development portfolio. Commenting on the Management Buy-Out, Jim Keeling, Chairman of Corbett Keeling, said: “Following the buy-out of SEP, the management team is extremely well placed to grow the business and realise the potential of its product portfolio. Together with backers, Juno, we wish them a successful future partnership." The management team of Advanced Power UK Ltd, the leading international developer of independent power generation projects, acquired the company from 3i plc in an MBO. 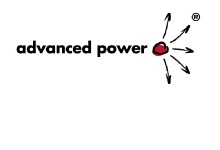 Advanced Power develops and invests in power generation and related infrastructure projects in Europe and North America. Corbett Keeling provided targeted financial advice to the management team at key points during the MBO process and prior to that as the business was restructured. Corbett Keeling advised Intrapharm Laboratories on raising debt funding in order to finance the company's acquisition strategy. 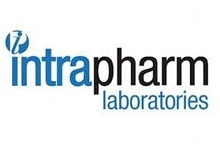 Intrapharm Laboratories supplies both niche and branded pharmaceuticals to the NHS and international markets. Its team of professionals has many years of experience in the commercialisation of pharmaceutical products, taking them from registration to patient and thereby fostering a mutually beneficial relationship. 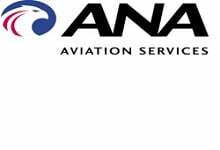 Andy Leslie and Andy King, founders and owners of ANA Aviation Services, an international air freight business based in Crawley, were approaching retirement. Following careful consideration of their exit strategy, they decided to invite senior board members to undertake a management buyout of their business. Corbett Keeling advised the two controlling shareholders throughout the process of the sale, evaluating a number of exit options and once the decision had been made to sell to the management team, Corbett Keeling managed the process, advised on the terms, introduced funders and devised the optimal structure for the transaction. Hörmann International Beteiligungs GmbH, part of the Hörmann Group, a family owned German manufacturer of industrial and residential doors, acquired IG Doors Ltd, a UK manufacturer of external doors for the housebuilding industry. This provided an exit for NVM Private Equity, which backed the MBO of IG Doors in 2003. Corbett Keeling identified the opportunity and, working together with its German Globalscope partner, CatCap Corporate Finance, introduced it to the Hörmann Group. Xerxes Equity Ltd is an investment company, which was formed by John Cowley in 2011, with the intention of building a market leading group of building products manufacturers. Xerxes acquired four businesses from Eleco plc, an AIM listed company, including SpeedDeck Building Systems, Downer Cladding Systems, Stramit Panel Products and Prompt Profiles. Corbett Keeling has worked for many years with John Cowley, who has been conducting turnaround projects for the last 18 years, and introduced this opportunity to Xerxes Equity. Cantab Asset Management, the firm of independent financial advisers formerly known as Saunderson Asset Management, acquired Hodgson & Faraday, a fellow financial advisory firm. Corbett Keeling introduced the opportunity to Cantab and advised on the terms of the transaction. GMT Communications Partners backed the £38.5m investor buy-out of MeetingZone Ltd, a provider of conference call services to business and home users, from the founders, Tim Duffy and Steve Gandy. Corbett Keeling introduced GMT Communications Partners to this investment opportunity. Redeem, which recycles used mobile phones, print cartridges and other electronic devices, was acquired by a management buy-in team led by Curt Hopkins and Pete Petrondas and backed by Trevor Bayley, a founding partner of HgCapital. Corbett Keeling helped identify the opportunity for the buy-in team. Constantine Group plc, which invests in the logistics, manufacturing, property and renewable energy sector, backed the management buyout of The Green Company (Europe) Ltd, a renewable energy company specialising in the installation of onshore wind and solar farms. Corbett Keeling advised Constantine Group plc on the terms of the transaction. Frazer-Nash (Midhurst) Ltd, a company that designs and manufacturers food handling, processing and packaging machinery, was acquired by a management team led by Paul Mortlock. Corbett Keeling advised Paul Mortlock and the investor on implementing the transaction. Micro Materials Ltd, a manufacturer of scientific analysis instruments, was acquired from Millbrook Scientific Instruments plc by a management team backed by David Harding. Corbett Keeling advised David Harding on the acquisition. Home Choice Care, a provider of care to individuals in their own homes, undertook an acquisition search which resulted in the acquisition of Lilac Care Ltd, a provider of in-home care support services. Corbett Keeling undertook the acquisition search on behalf of Home Choice Care. Home Choice Care was subsequently acquired by Westminster Homecare in November 2012. HCML, the UK’s leading independent provider of professional rehabilitation, case management and employment services to the insurance industry, solicitors and corporate clients, undertook a secondary management buy-out from 3i. Corbett Keeling advised Helen Merfield, CEO and founder of HCML on all aspects of the buy-out, including arranging funding, agreeing terms and managing the whole process on behalf of the management team. The management team of Communisis Bath Business Forms and Economailer, leading UK manufacturers and distributors of business forms and stationery, acquired these companies from UK listed company Communisis plc in an MBO. The businesses were renamed Integrity Print. Corbett Keeling advised the management team, led by Mark Cornford, on all aspects of this MBO, including arranging funding, agreeing terms and managing the whole process on behalf of the management team. The Keswick Enterprises Group, a UK-based private equity investor set up in June 2004 by John Harvey CBE and associates to invest in logistics and supply chain-related businesses, acquired Link Logistics Group, a provider of contracted logistics services for the food industry at both frozen and ambient temperatures. Corbett Keeling advised Keswick Enterprises on the terms of its acquisition and funding. Financial conglomerate Allco completed a merger and listing on the Australian Stock Exchange. Corbett Keeling advised shareholders on the valuation of the business. Dernier & Hamlyn, a manufacturer of lighting equipment, raised development capital from Endless LLP and acquired Tindle Lighting, a fellow manufacturer of lighting equipment. Corbett Keeling advised the company on its fund raising, which comprised a mixture of debt and equity, helped identify acquisition opportunities and advised on the terms of the acquisition of Tindle Lighting. Exmet Building Products Group Ltd, a new company formed by John Cowley, Nigel Dickinson and Roger Hall, acquired Expamet Building Products Ltd, a manufacturer of specialist metal building products from Royal Bank of Scotland. The management buy-in was backed by GE Capital. Corbett Keeling advised the management buy-in team on all aspects of their acquisition, including raising finance and negotiating the terms of the transaction. Tysers, a provider of insurance and reinsurance brokerage services, was sold to its management team in a funding and share re-structuring led by Christopher Spratt as Chairman and Chris Elliott as Chief Executive. Corbett Keeling advised on all aspects of this management buyout and shareholding restructuring, including advising the outgoing shareholders on the sale of their shares, the new shareholders on the acquisition of their shares, the company on the raising of finance and the terms of the transaction, and managing the process throughout. BigHead Bonding Fasteners, a manufacturer of stainless steel fasteners for a variety of industries, was sold to its management team, led by Brian Giddings, and backed by EPIC Investment Partners. Corbett Keeling advised the management team on raising finance and the terms of the transaction and managed the whole process on behalf of the management team. Corbett Keeling acted as expert witness in the case of Chantrey Vellacott vs Convergence. The dispute concerned the way in which one would go about attracting investment into a substantial telecoms project. Corbett Keeling's experience of fund-raising, including in the telecoms sector, meant we were ideally placed to provide the support required. Towry Law Insurance was sold by Towry Law plc to its management team, led by Martin Wright. The MBO was funded by Broker Network plc, a trade investor. Corbett Keeling advised the management team on finding and structuring the financing and on the design and terms of this highly unusual "trade-backed management buy-out" transaction. Advantage Healthcare, a leading healthcare services provider trading under the name BUPA Healthcare Professionals, was sold to a management team backed by Rutland Partners. Corbett Keeling advised the management team on raising finance, structuring the transaction and negotiating terms. Find.co.uk, one of the UK’s leading consumer finance portals, was sold to a management team backed by Electra Quoted Management and FF&P Private Equity. Corbett Keeling advised the management team on the entire process, including raising finance, structuring the transaction and negotiating terms. Ashley House, specialists in funding the design and development of flexible and effective health and care properties, raised and refinanced equity and debt. Corbett Keeling advised Ashley House on this financial restructuring and fund raising. Glencairn Ltd, an insurance broker, was acquired by its management team from Glensure Ltd, a subsidiary of Glenrand, a South African provider of risk advisory and financial services. Corbett Keeling advised the management team of Glencairn on the buyout of their business. Oakburn Properties, the property investment company, was taken private in a contested takeover. Corbett Keeling advised the bidder, Hodgson & Faraday Property Management Services Ltd, on its successful takeover bid which was subject to The Takeover Code rules. Terrace Hill, a provider of property investment and commercial property development services, made an offer for the shares of Grosvenor Land Holdings plc, a provider of real estate services, which the Terrace Hill concert party did not already own. Corbett Keeling advised Terrace Hill on the recommended bid for the quoted company which was subject to the Takeover Code rules. Binns & Co, a financial PR consultant, raised equity funding and acquired Winningtons, a Bristol financial PR business. Corbett Keeling advised Binns & Co on this fund raising and acquisition. Bentleys, a confectionary distributor, raised and restructured equity and debt funding. Corbett Keeling advised the management team on this fund raising. Gieves & Hawkes plc, the bespoke gentleman's tailor, quoted on the London Stock Exchange, was subject to a recommended cash offer. Corbett Keeling advised the independent directors of Gieves & Hawkes plc on the offer for the company, which was subject to the Takeover Code. The British Land Company plc, the property investment and development group, acquired by way of recommended cash offers FRP Group plc, a company which traded as an unquoted residential property investment company. Corbett Keeling originated this transaction. Five Rivers, a provider of children’s fostering and care home services, raised debt funding and acquired a competitor. Corbett Keeling advised Five Rivers. Medpointe, the pharmaceuticals company, was bought by its management team in a buy-out led by Carlyle Partners. Corbett Keeling advised a co-investor to Carlyle Partners. WT Food plc, a producer and wholesaler of ethnic foods, was acquired by its management team in a buy-out backed by Bridgepoint Capital. Corbett Keeling advised a co-investor to Bridgepoint Capital. WT Foods was acquired by GraceKennedy, the large Caribbean conglomerate, in 2007 and now trades as Grace Foods UK. 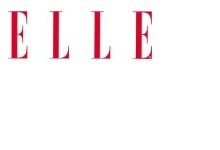 Actif Group, distributor of branded dancewear and UK licensee for Elle, raised equity funding and was introduced to AIM. Corbett Keeling advised Actif Group on its flotation and raising of finance. Bentleys, a confectionary distributor, was acquired by a management buy-in team led by Derek Durrant. Corbett Keeling advised the management team on the acquisition and on raising equity and debt funding. Chivers Communications plc, publishers of large print and unabridged audio books and children’s books, acquired a 30% interest in Oneword Radio Ltd, operator of the only national commercial digital radio station dedicated to the spoken word. Corbett Keeling advised Chivers on its investment in Oneword Radio. Linguaphone, a provider of self-study language learning products and associated support services, raised equity funding from two private equity investors. Corbett Keeling advised Linguaphone on raising this equity finance and restructuring existing capital. Chivers Communications plc, publisher of large print and unabridged audio books and children's books, was listed on OFEX. The flotation followed the demerger from Gieves Group plc. Corbett Keeling advised Chivers Communications on its flotation. Gieves Group, the quoted bespoke gentleman’s tailor, demerged its publishing business, Chivers Press Ltd, a publisher of large print and unabridged audio books and children’ s books. The shares of Chivers were admitted to trading on OFEX by way of a placing. Following the demerger, Gieves Group changed its name to Gieves & Hawkes plc. Corbett Keeling advised Gieves Group on the demerger of Chivers Press, a transaction governed by the Takeover Code and the Rules of the London Stock Exchange. Linguaphone, a provider of self-study language learning products and associated support services, raised equity funding and restructured debt by way of a rights issue, an issue of convertible preference shares and an issue of warrants to subscribe for ordinary shares. Corbett Keeling advised Linguaphone on the funding and issue of shares and share warrants. BCCP acquired Berkeley Chauffeur Services. Corbett Keeling advised BCCP on this acquisition. CASEwise Systems Ltd, a developer of software to help improve business processes, raised debt finance. Corbett Keeling advised CASEwise on obtaining debt finance and negotiating terms. Corbett Keeling identified and introduced us to Hodgson & Faraday as a suitable acquisition target. They then provided valuable input in the negotiations to help us complete the transaction.